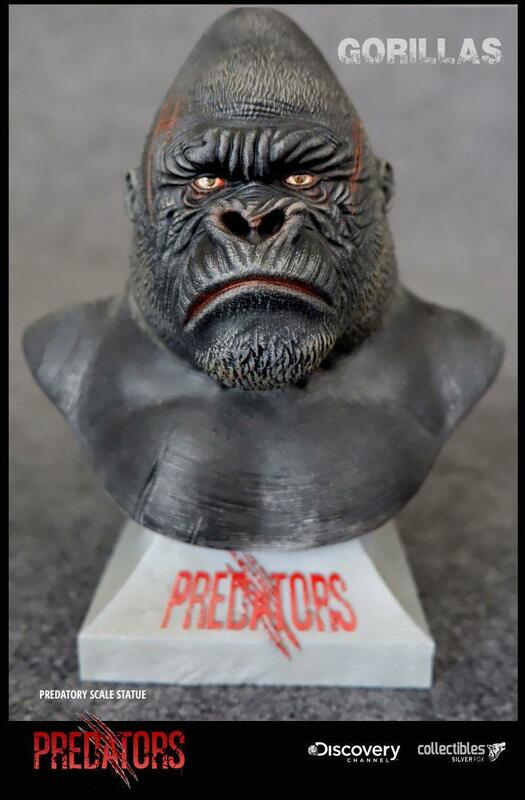 Silver Fox Collectibles is delighted to announce their Predatory Scale Mini Bust collection. The second bust in the range is Silverback Gorilla..The bust is 14 cm tall and will come complete in an EVA foam molded package. with a gift box and authenticity card. This mini bust will be made of high quality polystone and each one will be hand painted and limited to 500 pieces worldwide.